On Monday, Dutch opposite Lonneke Sloetjes put up the 3rd-best single match scoring performance in at least the 25-point, rally-scoring era of the World Championships*, as the Dutch rallied from an 0-2 hole to beat the Americans 3-2. That result assured the Netherlands of their spot in the semi-finals, and eliminated the Americans from contention for a repeat World Championship after winning in 2014. 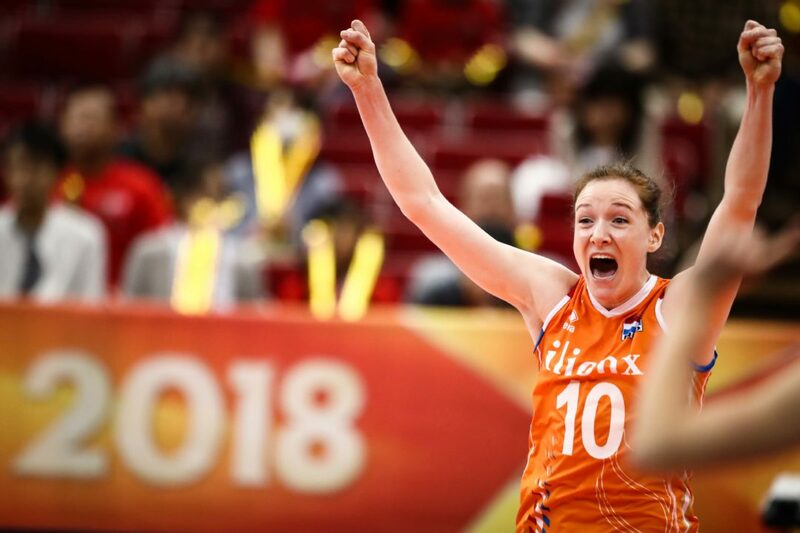 Sloetjes’ 38-point effort (32 kills, 3 blocks, 3 aces, 46% hitting) was the most ever scored by a player on a winning team at the World Championships. It was also Sloetjes’ 2nd match with at least 36 points at this year’s World Championships. Paola Egonu of Italy and Nataliya Goncharova of Russia both also had multiple 30+ point efforts at this tournament. Most impressively, Goncharova’s all came in the 1st round: an injury kept her out of the 2nd round of the tournament, where Russia was eventually eliminated. Her effort was the 7th 30-point production of the 2018 championships. 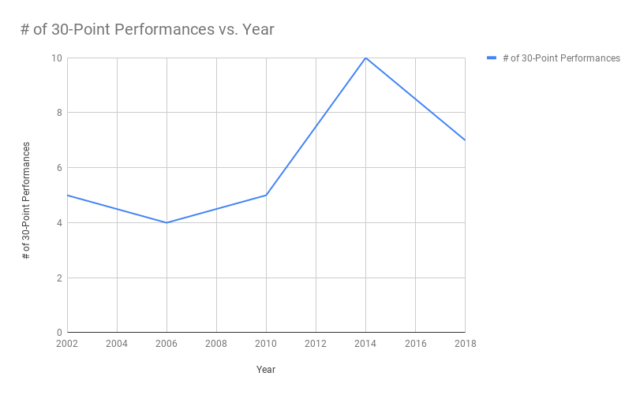 With 7 matches to go still at the World Championships, that’s still 3 fewer 30-point efforts than in 2010, though 2010 saw a massive leap from prior editions as women’s volleyball has grown into a more powerful version of the game over the last decade.